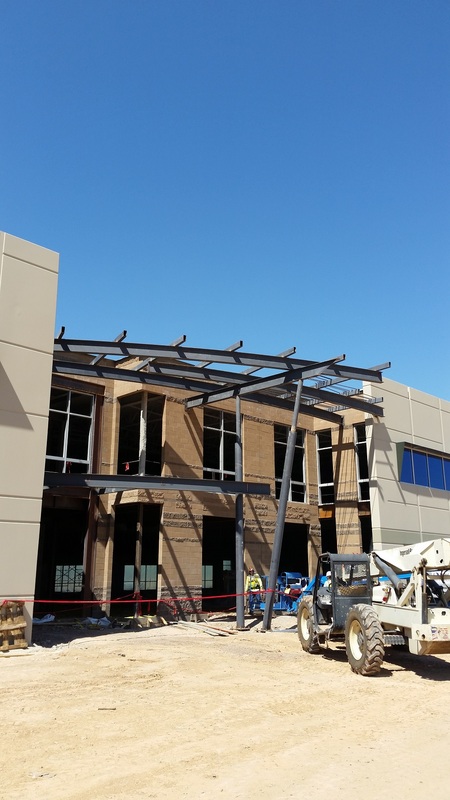 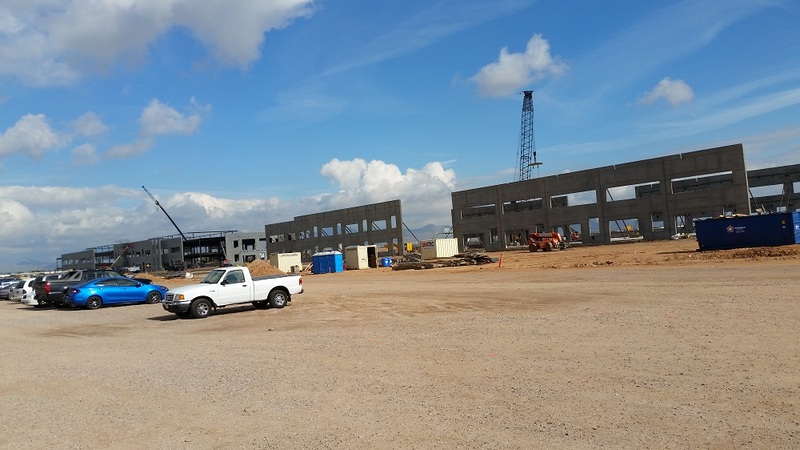 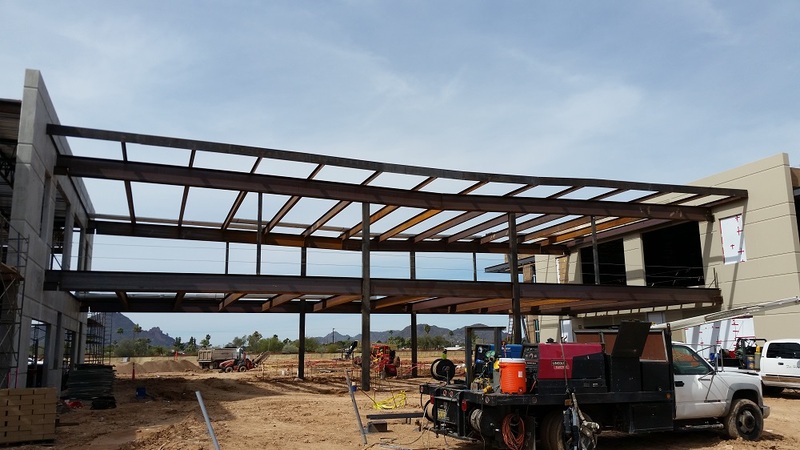 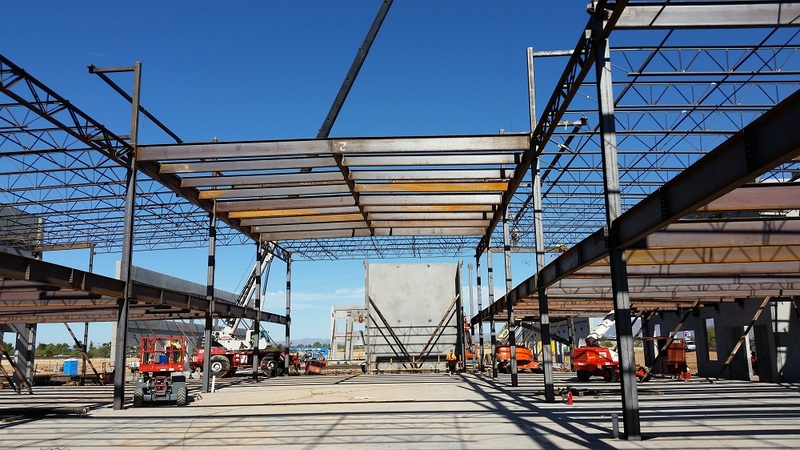 Chaparral Commerce Center | Bell Steel Inc. 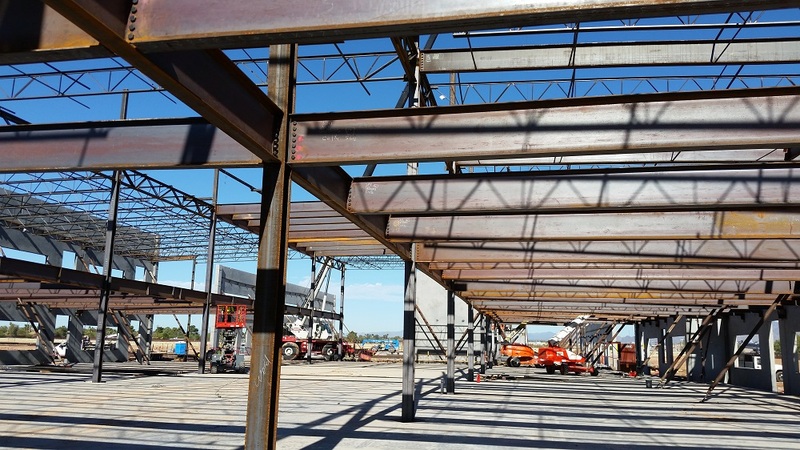 DESCRIPTION: Fabrication and erection of office buildings. 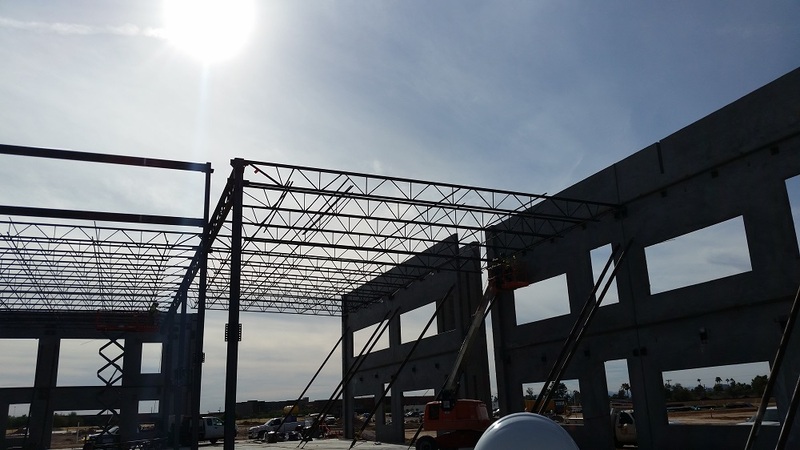 Concrete tilt panel with steel joist roof, heavy steel 2nd floor framing, bridge between buildings, steel decking, stairs, railings and canopies. 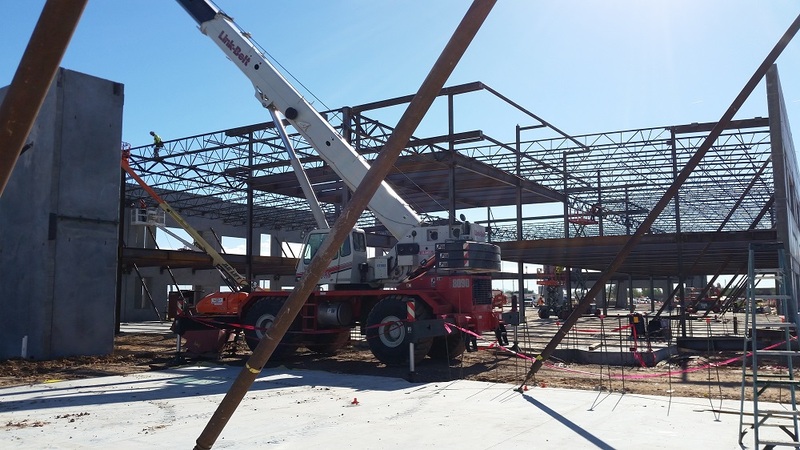 275,000 sq ft 2 story buildings with 850 tons of steel.